B. Enter your email and create password. After you have registered your card and added us as the Community Rewards organization, your purchases will begin counting towards Echo within 72 hours of registering the Individual Rewards Cards on-line. Every time you shop for groceries and swipe your card, Echo will automatically starts earning a rebate! If you do not have access to the online sign-up method, please call 1-800-443-4438 to learn about the alternative sign-up method. 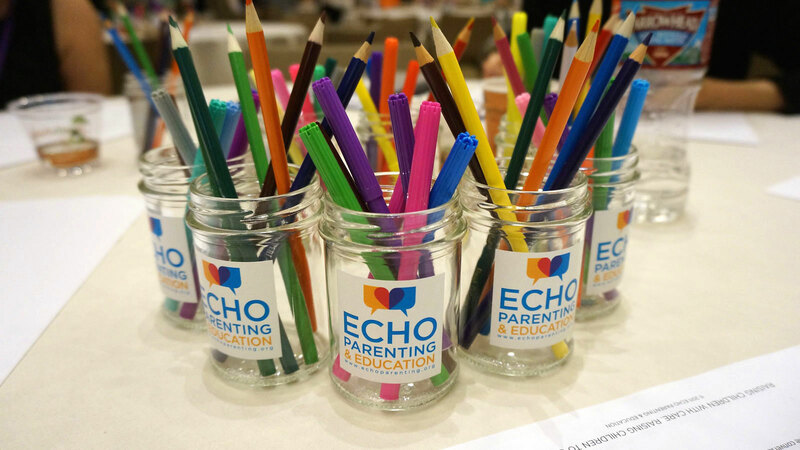 If you shop on Amazon.com a portion of your purchase can be designated to be donated to Echo, at no additional cost to you! Just start at smile.amazon.com (make sure to bookmark!). When you log-in you will be asked to connect your account to the non-profit of your choice. Search for Center for Nonviolent Education & Parenting(we are listed by our previous name). Then choose us and your account will be linked to ours. Then all qualifying purchases will help raise money for us. It’s that simple! Just remember to log-in through smile.amazon.com. If you want more information click here for the Amazon Smile FAQ. To contribute at Food4Less, follow the same steps listed above. Go to www.food4less.com instead of ralphs.com and click on My Food4Less. Does your employer match contributions? Many employers will match their employees’ contributions such as Sony Pictures and the Capital Group Companies. They will send us a check thereby doubling your contribution. Echo welcomes gifts of stock. Please call the Development Office at 213-484-6676 for more information.